Now we have a better idea of what VW's ID lineup will look like. Ever since Volkswagen first revealed the I.D. Concept, we have known that the company was planning to introduce a range of EV models into its lineup. So far, we're aware that VW wants to build an electric SUV that may be called the I.D. Crozz and a successor to the microbus called the I.D. Buzz. We have been left to guess which other models would be included in the I.D. lineup, but we may now have some clarity in the form of some trademark filings by VW, as reported by VW Vortex. According to new trademark filings with the World Intellectual Property Organization (WIPO), VW wants to use the names I.D. Cruiser and I.D. Freeler. 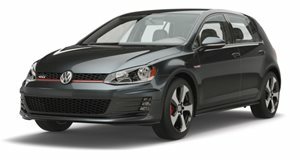 It has been hard to pinpoint which models VW intends to sell in which markets. So far, VW has confirmed the I.D. Crozz and Buzz for the US market, but we may not get the I.D. hatchback model. These two recent patent filings are for a sedan and an SUV, which are expected to arrive before 2022. These models have been previously hinted at as the AEROe (sedan) and Lounge (SUV). VW also reportedly filed a patent for the name I.D. Streetmate back in September. These I.D. electric models aren't expected to cost much more than current VW models, so they could end up selling in massive numbers. These EV models are expected to have around 375 miles of range, which should make them extremely competitive on the EV market.